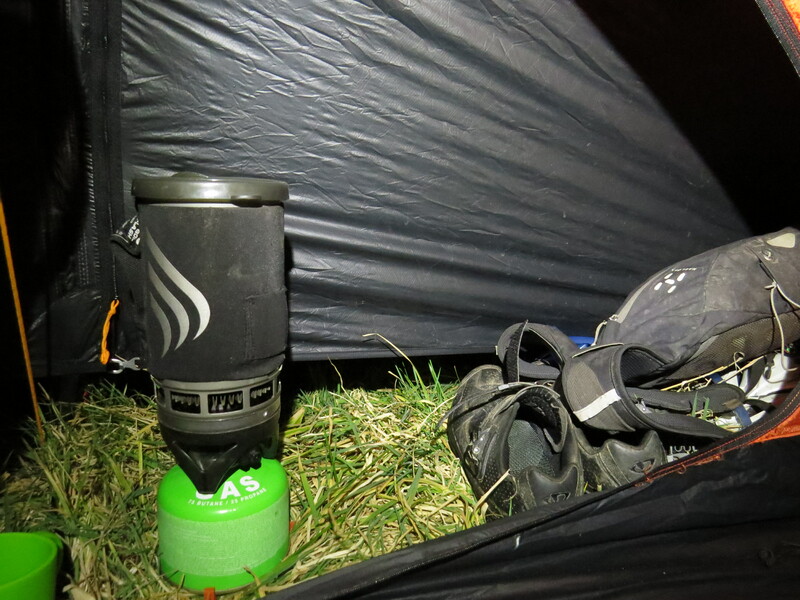 I love camping trips – a few nights under canvas and you feel as though you barely recognise normality when you get back. A routine dictated by the hours of sunlight rather than by work or a television schedule makes you earn your sleep, and an early night is rarely unwelcome. 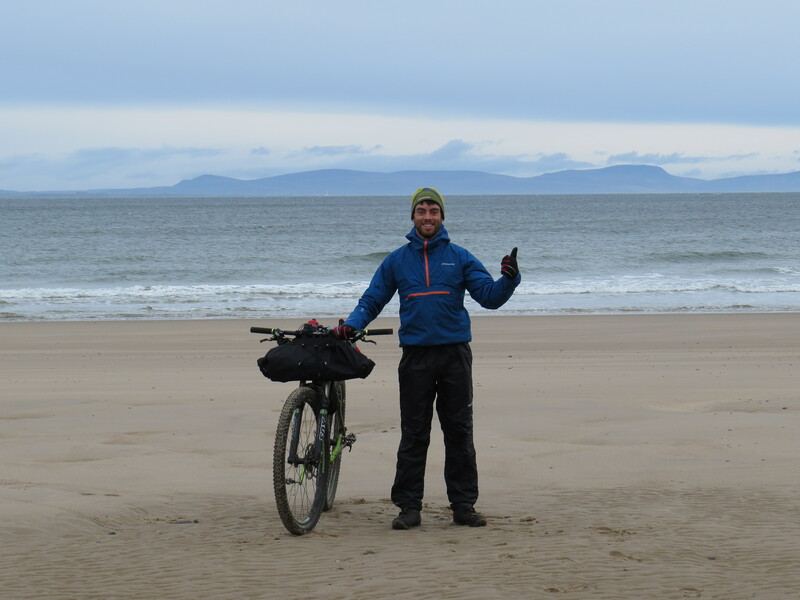 With that in mind, and having finally gotten the chance to test a full Revelate Designs setup from Andy at Backcountrybiking, I had a head full of ideas about multi-day missions to the North-West highlands. Unfortunately the weather forecast had other ideas, and yet another massive low pressure system blowing in from the Atlantic had me thinking about how feasible such plans were in the face of solid days of rain and 50mph winds. 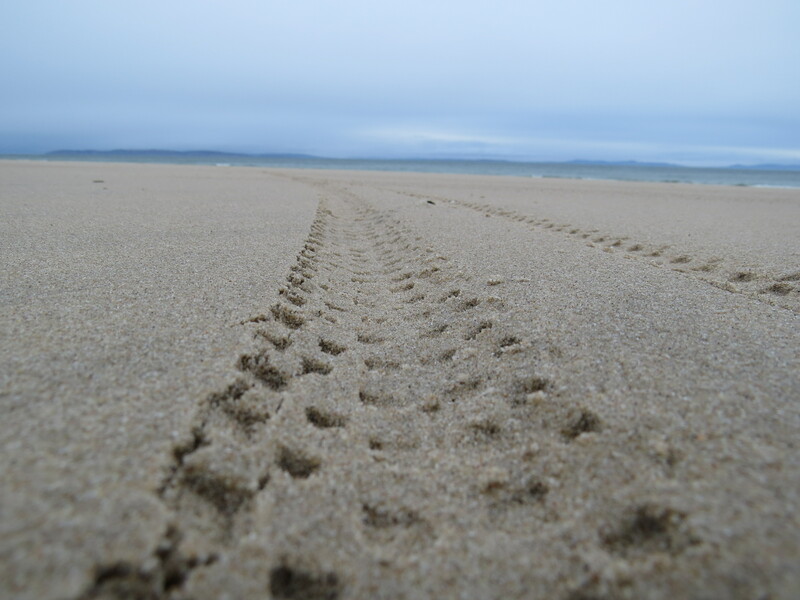 Rather than head towards the hills and fight the wind, I decided to make the best of a bad job and travel with it, heading instead towards the sea and the long beaches of the Moray Firth. ‘Revelate Designs’ is in fact an ingenious man called Eric, in a shed, in Alaska. Eric makes some seriously niche luggage, and he’s an absolute perfectionist. 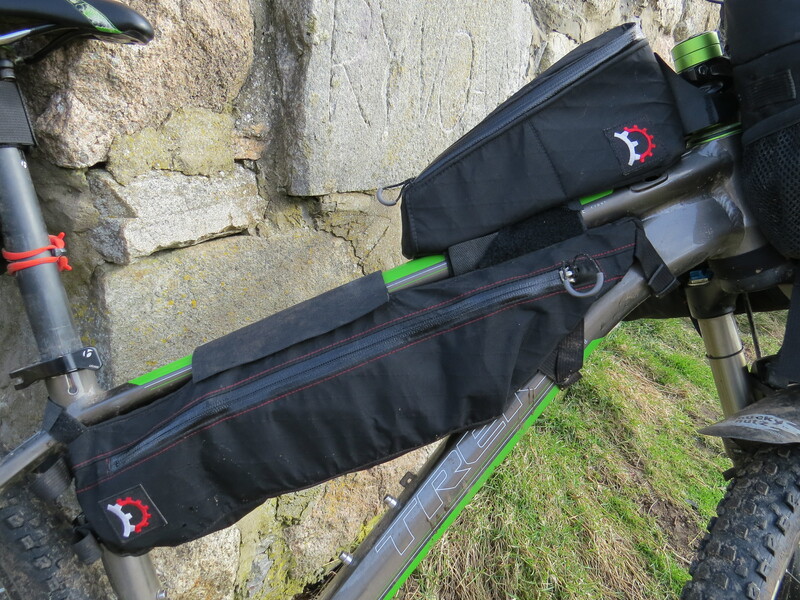 Everything is made specifically to make the task of carrying luggage on a mountain bike as secure and efficient as possible, and every conceivable pocket of space on a bike into which a stove, a sleeping bag or just a few extra granola bars might be fitted has a dedicated bag with which to make the most of it. 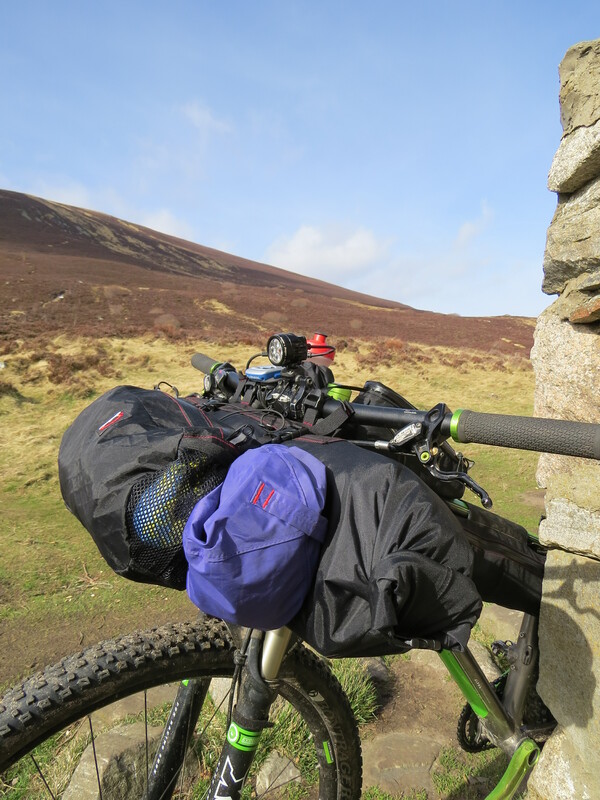 Andy had lent me his entire Revelate setup, having become the importer and distributor for the kit via his Backcountrybiking shop just over a year ago. 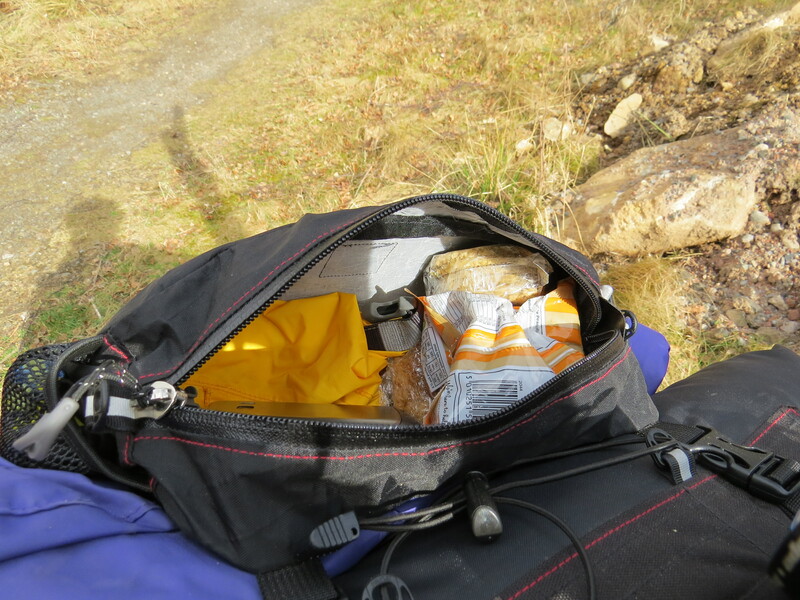 I had a great time working out the best way in which to pack my overnight stuff into the drybags, framebag and assorted extra compartments that now adorned my bike, the upshot of which was that I only needed to carry the smallest of rucksacks with maps and waterproofs in. The week before, me and Annie had bought flights to Iceland in August for a month of bikepacking around the volcanic interior, so there should be plenty of excuses to get out in preparation for that adventure as spring rolls in. 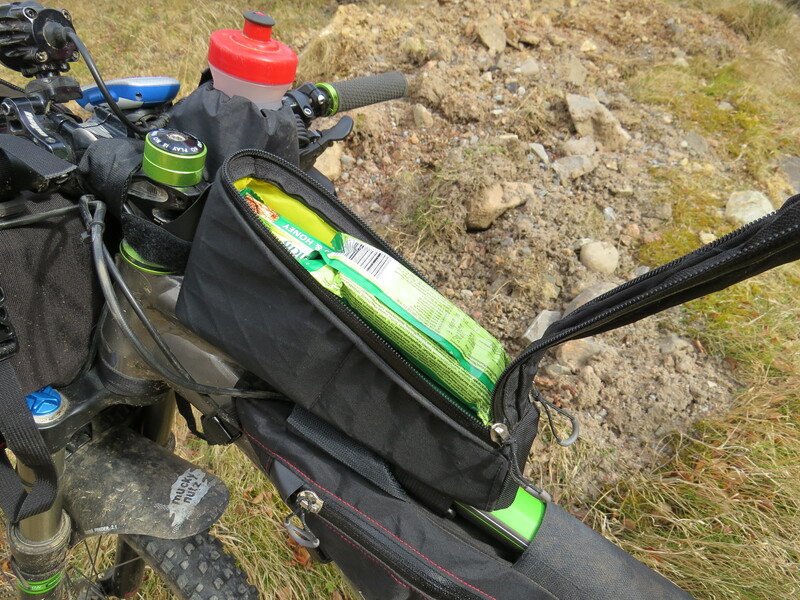 The pocket is ace for keeping your lunch and camera in! How many granola bars fit in a Gas Tank? Answers on a postcard. 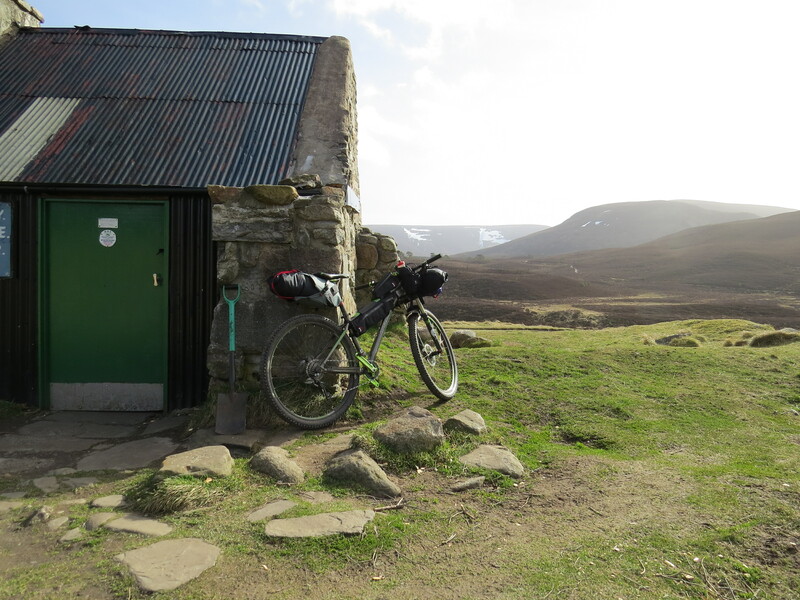 All that weight so low on the frame actually makes a loaded bike a very good technical climber, as I was reminded when I started up the first climb of the day, out of the door and straight up to the bothy at the pass of Ryvoan. 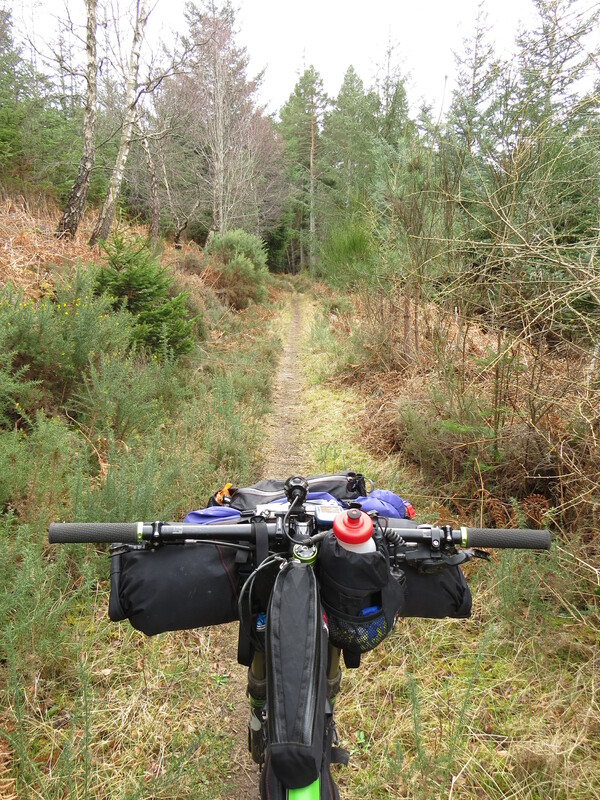 The wind was behind me as I descended into Abernethy forest, and I flew along the Speyside Way to Grantown, although in the back of my mind was the knowledge that the return leg would turn the situation on its head and that strong headwinds would make it feel twice as long. 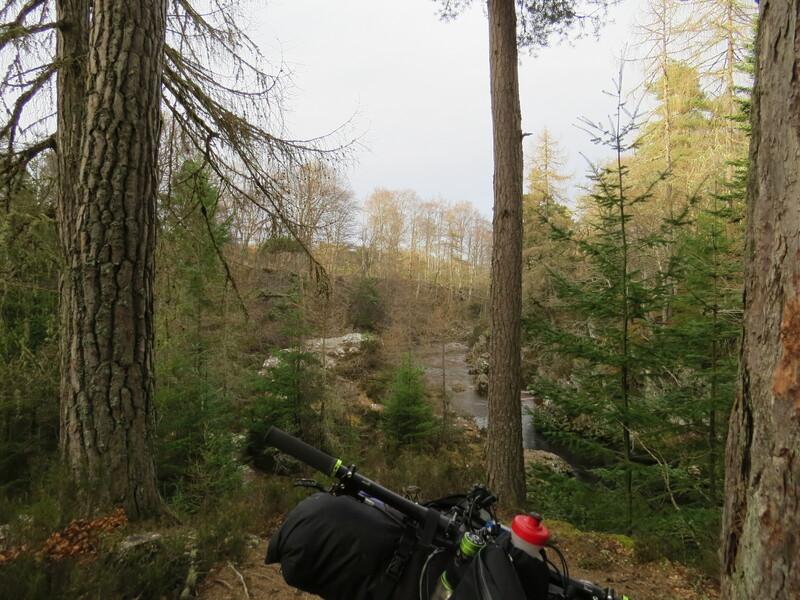 A quick stop at Basecamp Bikes was in order to refill water and talk bike-related crap, before heading north again to pick up the Dava Way, crossing the watershed of Dava moor to reach the River Findhorn on the other side. 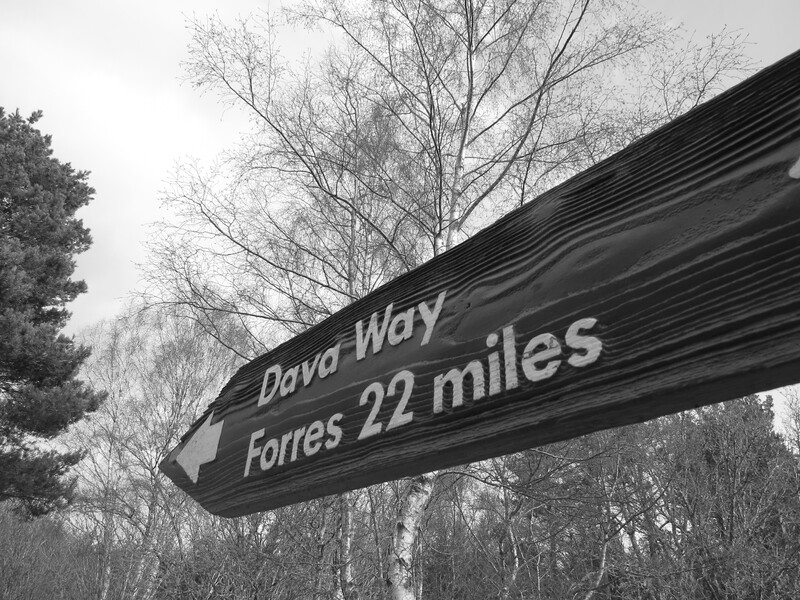 As long distance trails go, the Dava Way was a bit of a surprise. 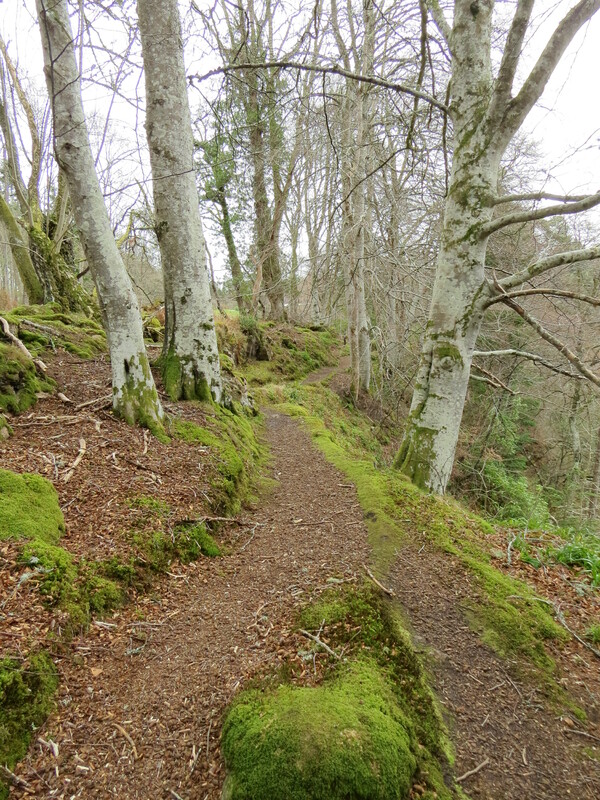 Far from being boring, manicured ‘cycle path’ it soon hit twisty, natural singletrack that was covered in a cushioning layer of dust and old pine needles. Past the popular climbing crag at Huntly’s Cave, the trail picks up the old Highland Railway Line, which made up for the lack of gradient or corners with good speed, wide open views of the moors and plenty of those little interesting signs to tell you a bit about the history of what you’re riding. I particularly liked the story about the ghost train that still runs the line on dark winters nights… In the navvy’s halfway hut there were photos from past winters, of trains entirely buried by drifts of snow, and the fact that the entire 103 miles of railway from Perth to Inverness had been built in only a year and a half! 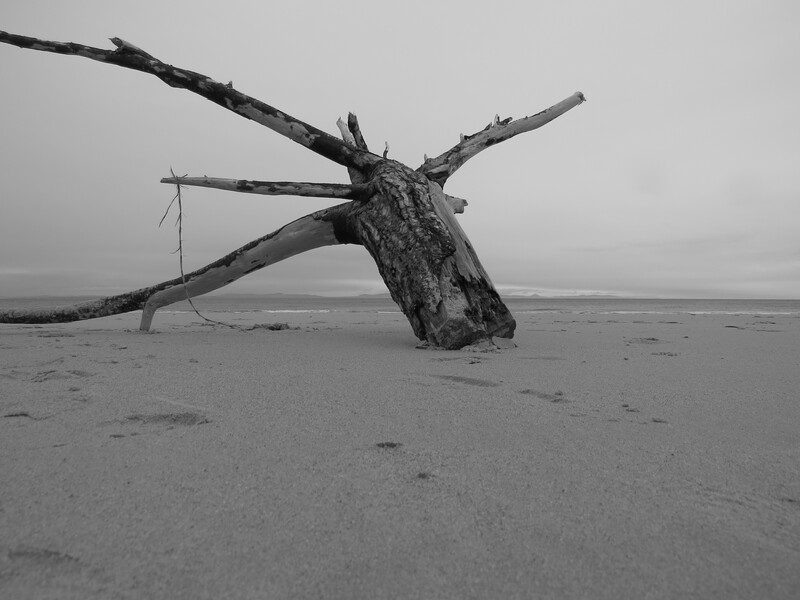 Striking a wooden pose… Aha. Ha. With the breeze behind me the Dava section was quick enough, and by the early afternoon I had dropped down to the Findhorn River, which I’d been looking forward to all day. 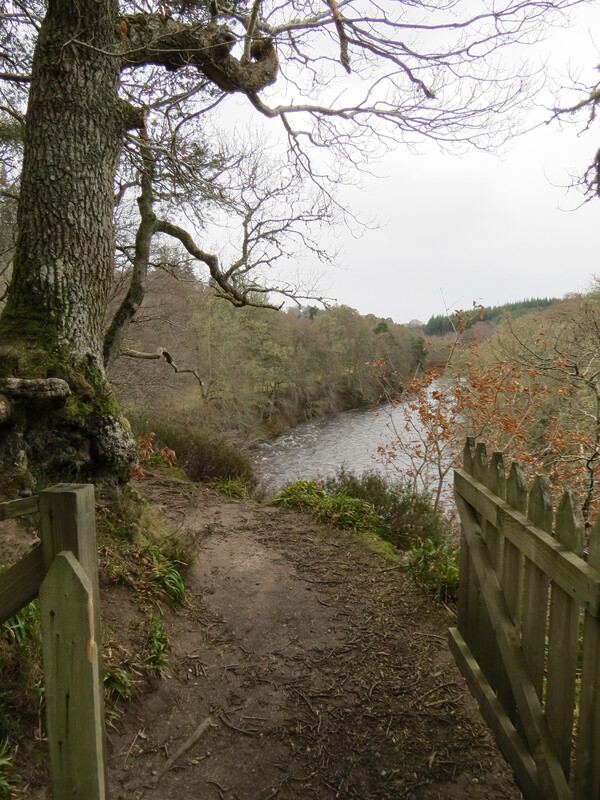 We have the fishermen to thank for these trails, as the Findhorn has long been recognised as one of the country’s best salmon rivers, and the quality of the paths along either bank matches the fishing. 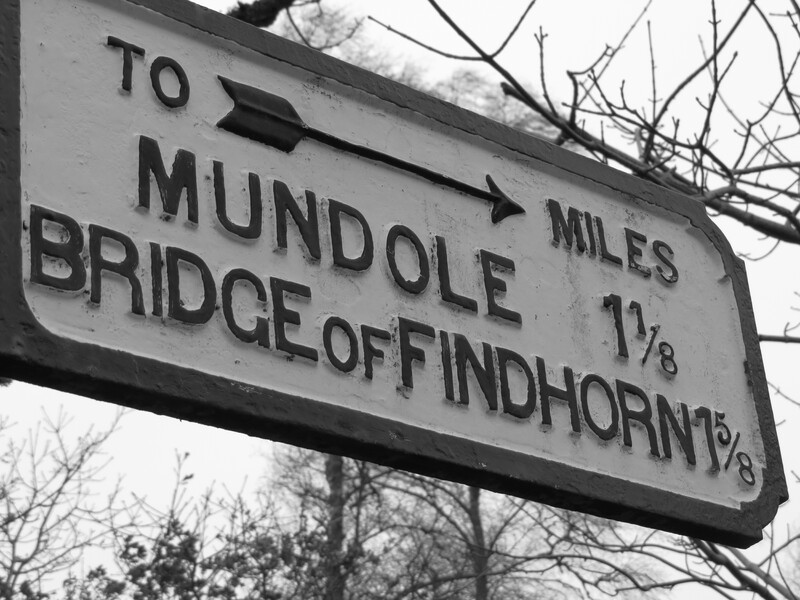 If you take nothing else from this post, then at least make sure you go and ride the Findhorn singletrack. Properly benched old trails, ancient woodland and some mega exposure make for very good times on a bike. 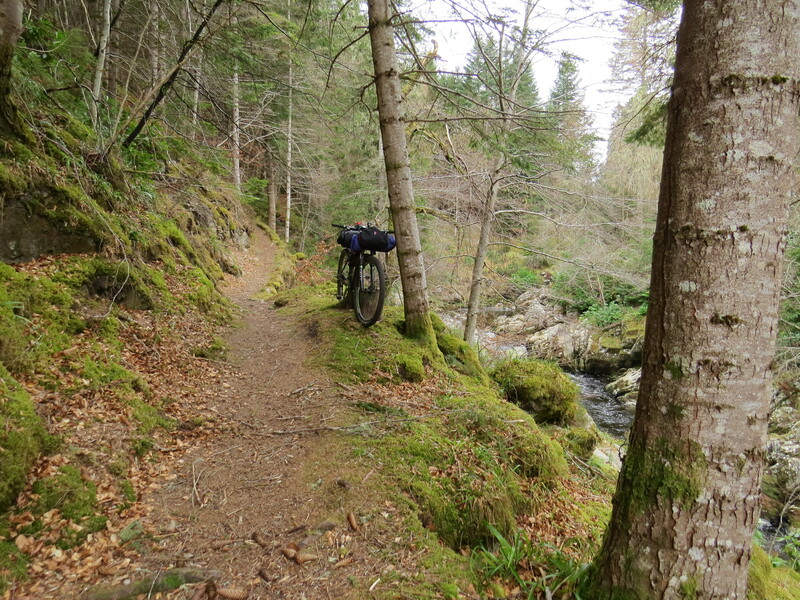 I found some new singletrack on a tributary of the Findhorn, the Divie, and decided to follow it. 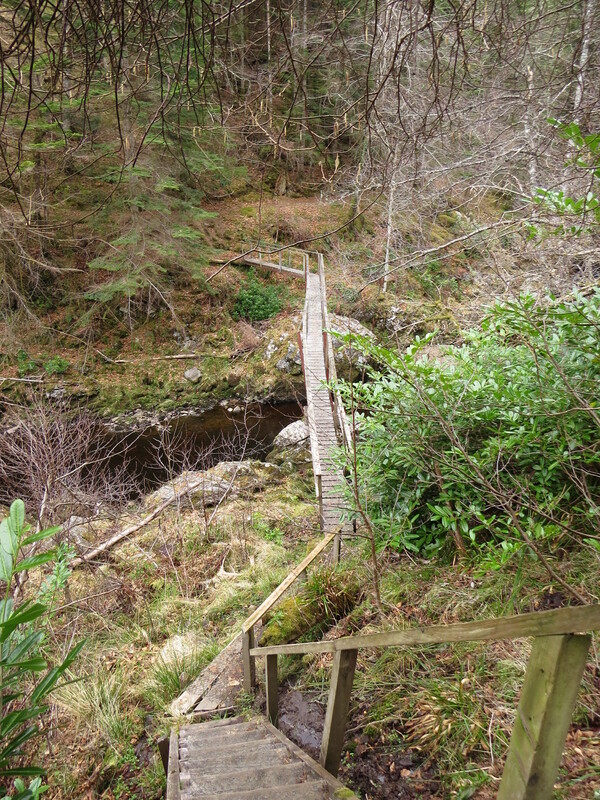 When I came to sketchy looking bridge I laughed and was glad that I didn’t have to cross it. Karma struck though, on rounding the next corner I realised that the trail ended, and it was across the toothpick of a bridge for me. 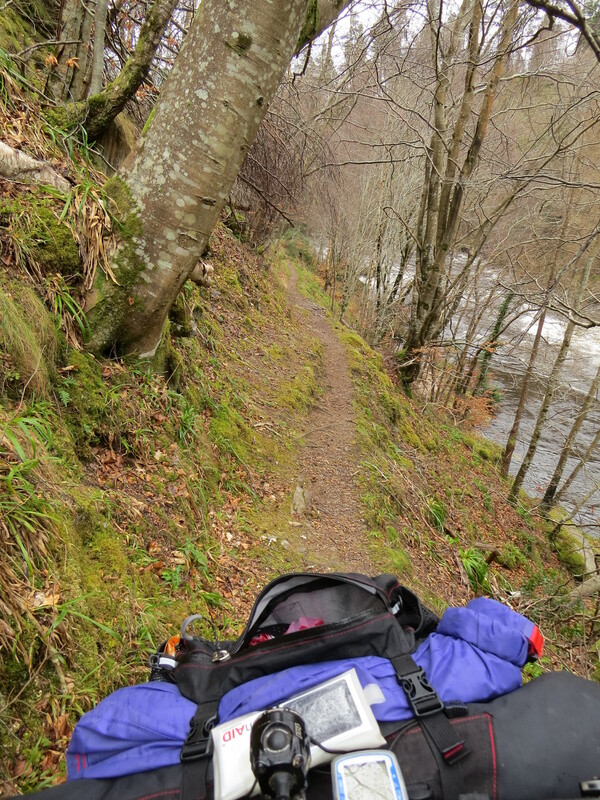 I had to keep repeating ‘don’t fall off’ as the heavily-laden bike started wandering towards the edge of the gorge with its slowed steering. At one point under a fallen tree I clipped the trunk with my backpack, and came far too close to losing the bike and Andy’s luggage into the Grade IV rapid 40 metres below. I did mean ‘don’t fall off’! With the Divie safely negotiated, I stopped for second lunch at Randolph’s Leap before carrying on to the sea. 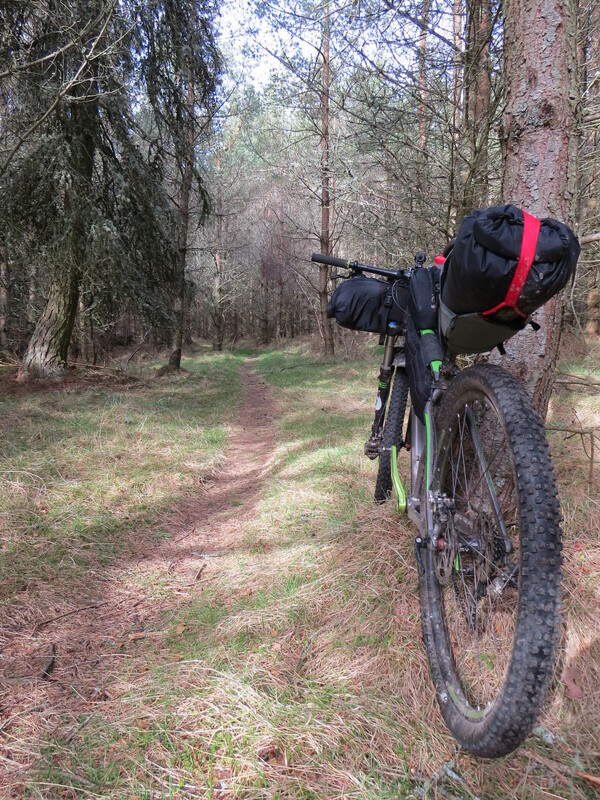 Although the Findhorn section isn’t too long as the crow flies, the technical trails and the super complicated navigation between criss-crossing old pieces of singletrack takes longer than you would think. When I finally emerged at Forres there was clearly only one option: the nearest chippy. 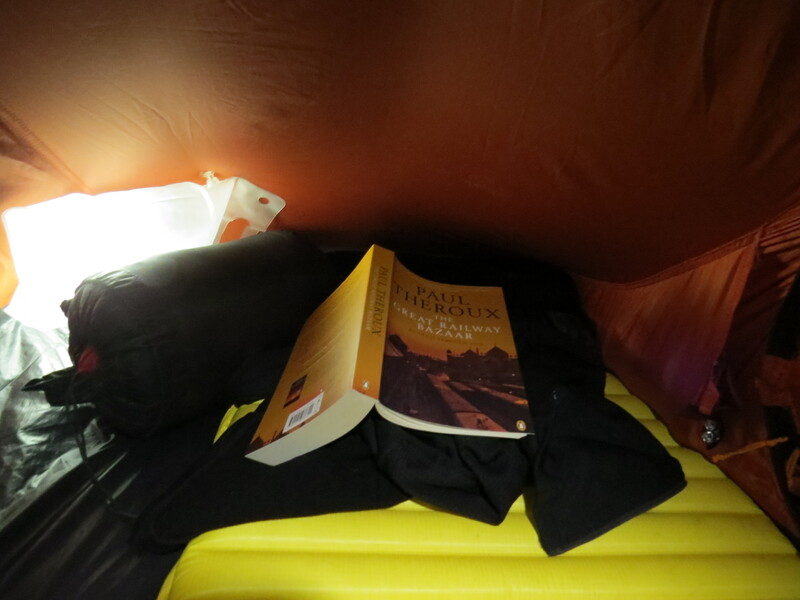 I slurped it down while watching the sun set over the Findhorn estuary, and set off to camp on the seaward side of the sand dunes in Culbin Forest. On the way I met the gamekeeper of the local estate, who said he’d received a phone call about a suspicious set of lights seen along the forest tracks. I did manage to persuade him that I wasn’t a poacher, and so eventually I got the shore, set up tent for the night and enjoyed the solitude of being so far from the nearest road or house. I’d made it to the sea! The satisfaction of a journey with a logical endpoint went a long way to making up for the disappointment of no mountains. 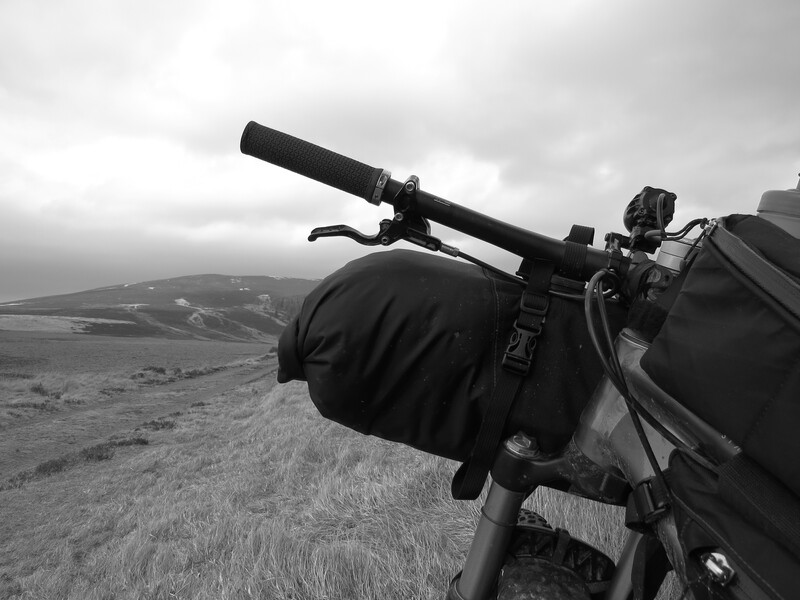 I had had some grand ideas about riding to the sea, getting up at dawn and enjoying some spectacular morning light, but when morning did come around I left the tent to a very dull, leaden sky. 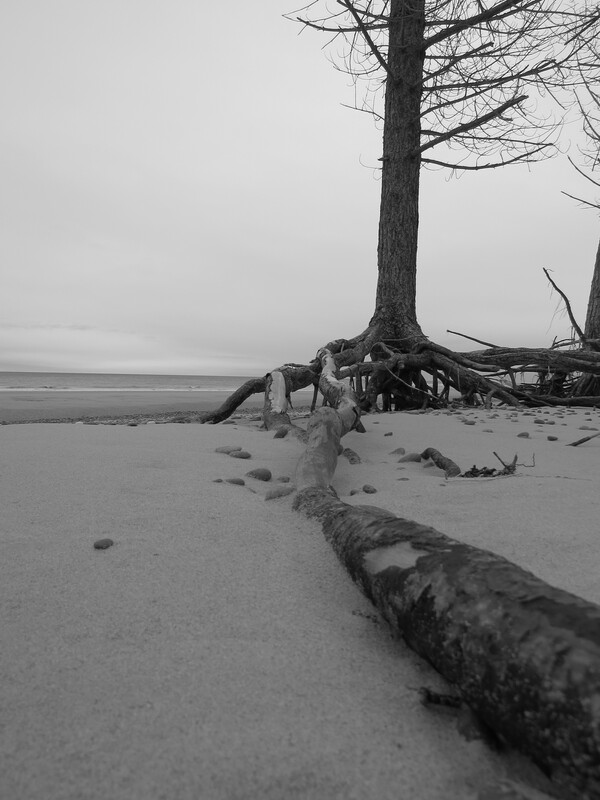 I went for a wander along the shore, took a few photos and eventually got around to the task of packing up and setting back out for home. I might have seen the golden dawn that I’d hoped for, but from the long, sandy beach I could see the Black Isle, Ben Wyvis and the snowier peaks of the Fannichs in the distance. 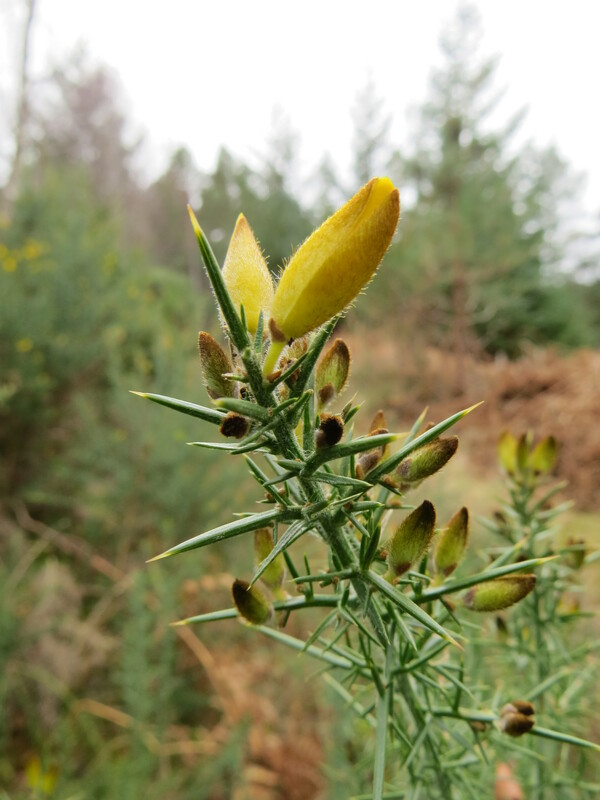 Culbin forest itself stands on dunes, which receded into sandy heath as I pedalled the few kilometres back through to Forres and the return journey up the Findhorn. 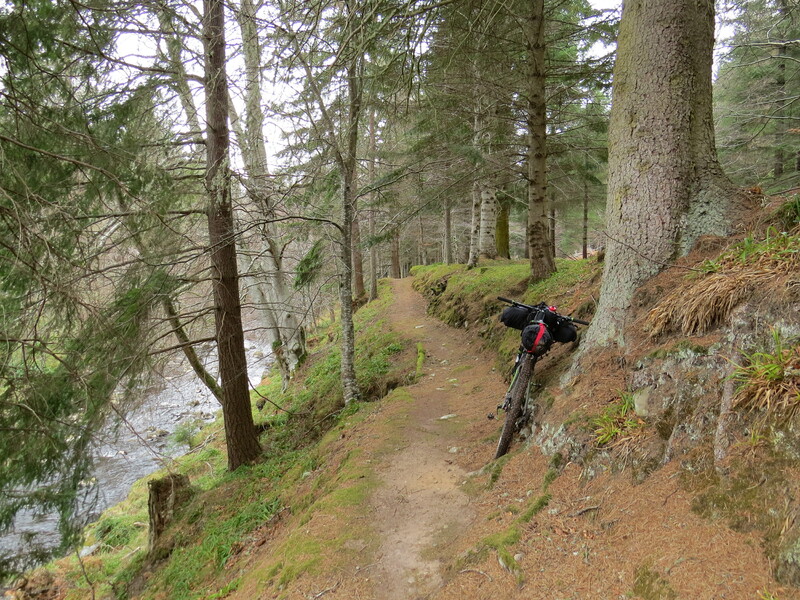 This time I rode up the opposite, east bank of the Findhorn, on a different but no less excellent set of trails, including some sweet, flowy descents that have clearly been put in by the local riders. Returning over Dava Moor was as savage as expected – a brutal headwind laced with snow, and a marked drop in temperature from a day earlier. 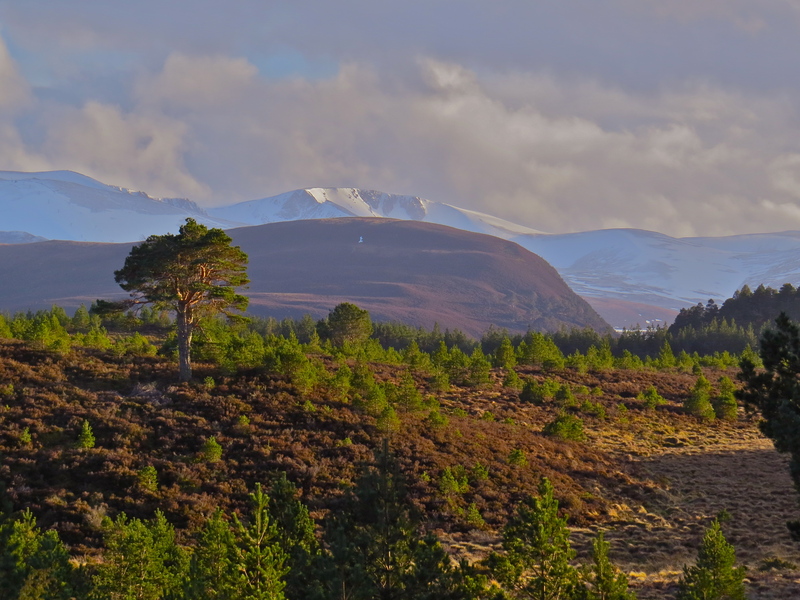 The bulk of the Cairngorms had been present on the skyline for most of the day, an elevated dome of white on the horizon. 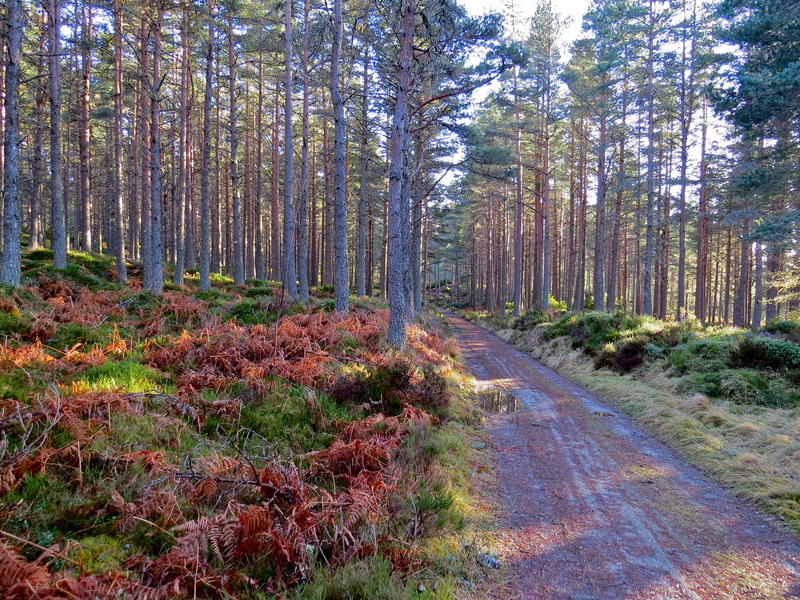 As I crested Dava summit they were still a distant prospect, but Grantown couldn’t come soon enough. 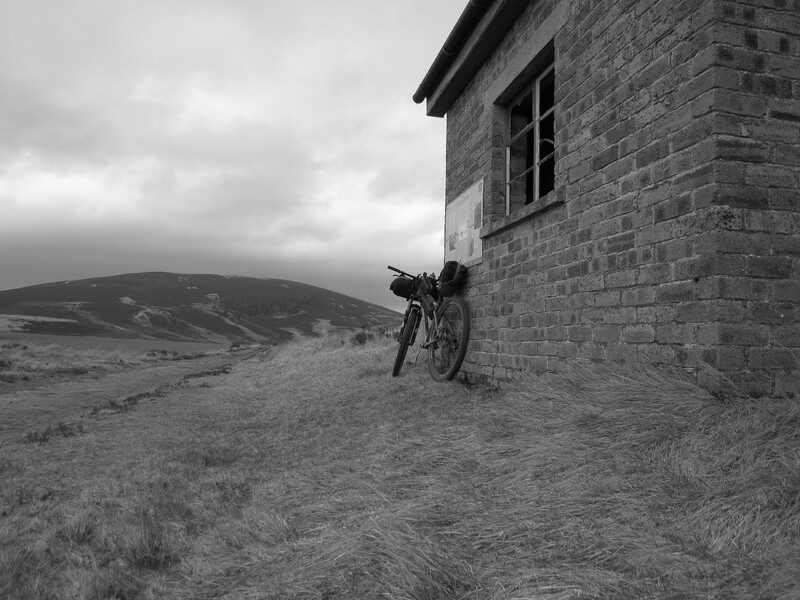 Resisting the temptation to drop into town for a stop and some warmth, I trucked on through the farmland of Strathspey, before leaving the Spey at Nethy Bridge to make for the pass of Ryvoan, and the warm cup of tea that I could almost taste on the other side. 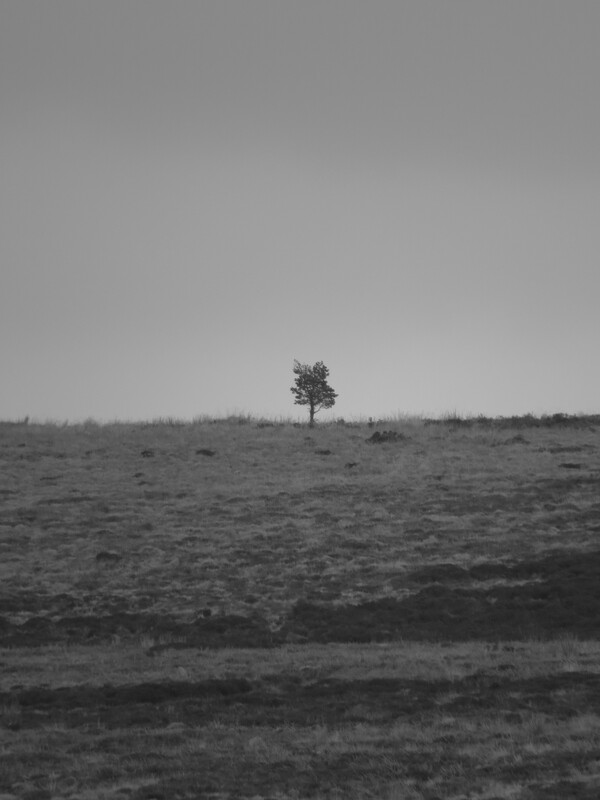 There was still a cold edge to the gusts, but the evening light made for a warm welcome into Abernethy Forest, and try as I might I couldn’t get a photo of the three stags that were moving parallel to me among the juniper. 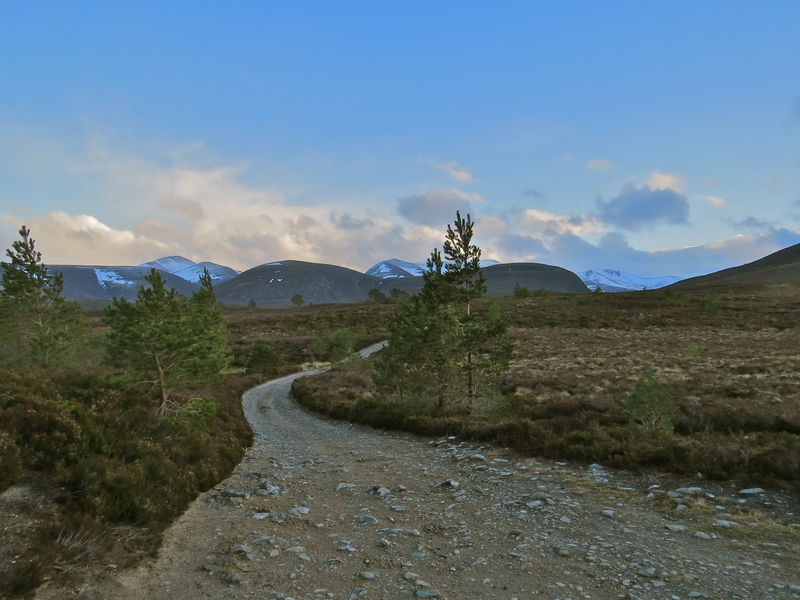 Climbing onto Ryvoan itself, the low light hit the ancient pines and the snows of the corries behind them, producing a scene that made the long day and the headwind seem worthwhile. 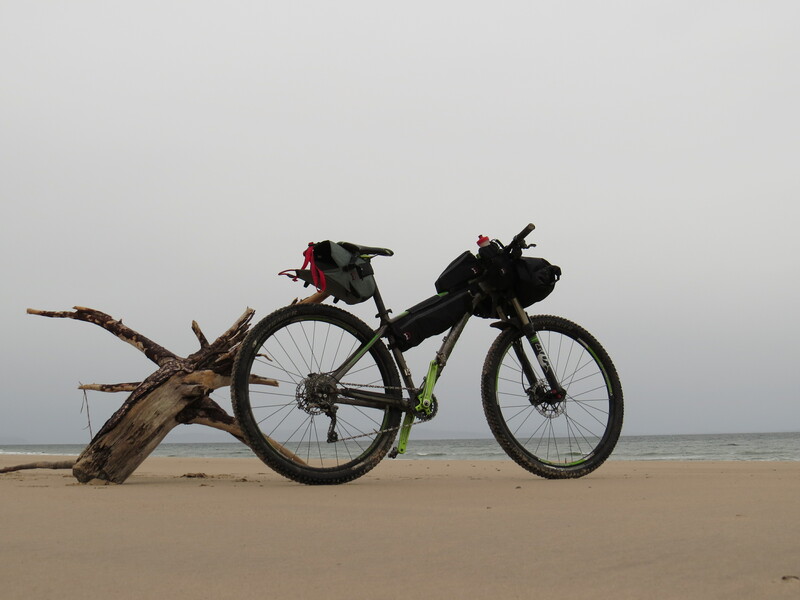 Despite not being able to head to the mountains and explore some of the more obvious bikepacking routes, the trip had been an adventure in itself, finding new trails and visiting new places, not to mention an opportunity to test the Revelate gear for Iceland. 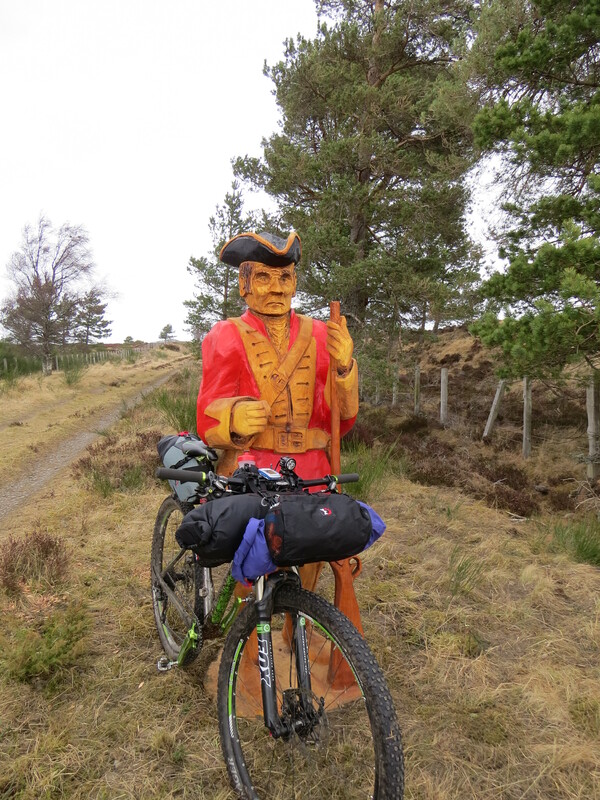 I realised that, if anything, I had seen fewer people over the two days than I likely would have if I’d gone to the hills – barely a handful from Glenmore to the sea and back. Just as I sat down with the long awaited cup of tea, only 5 minutes after arriving home, a blizzard hit Glenmore, quickly obscuring the greens and golds of the sunset and bringing winter back for the time being. 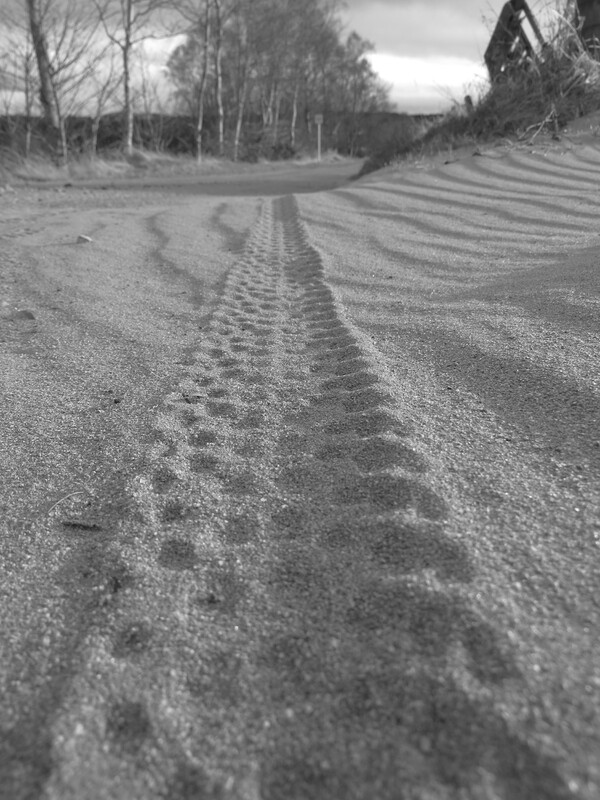 Brilliant trails. Can old fogies manage to get to the sea on them? Thank you for the trip blog. 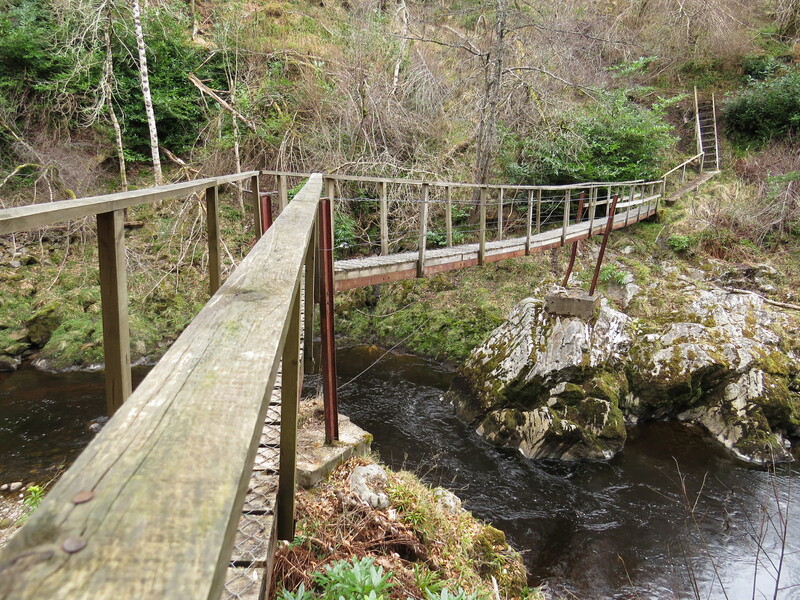 Always wanted to do traverse the River Findhorn as I heard there were some nice trails along the way. 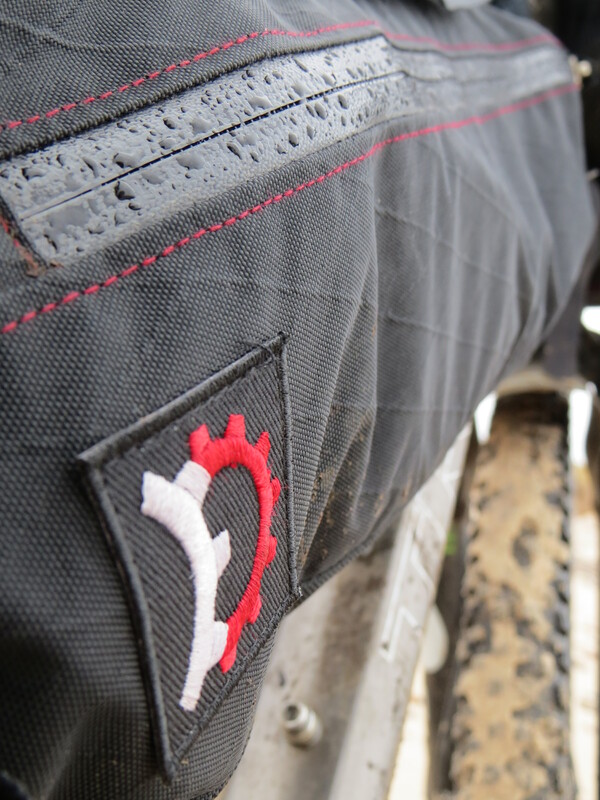 Combine it with bikepackIng. 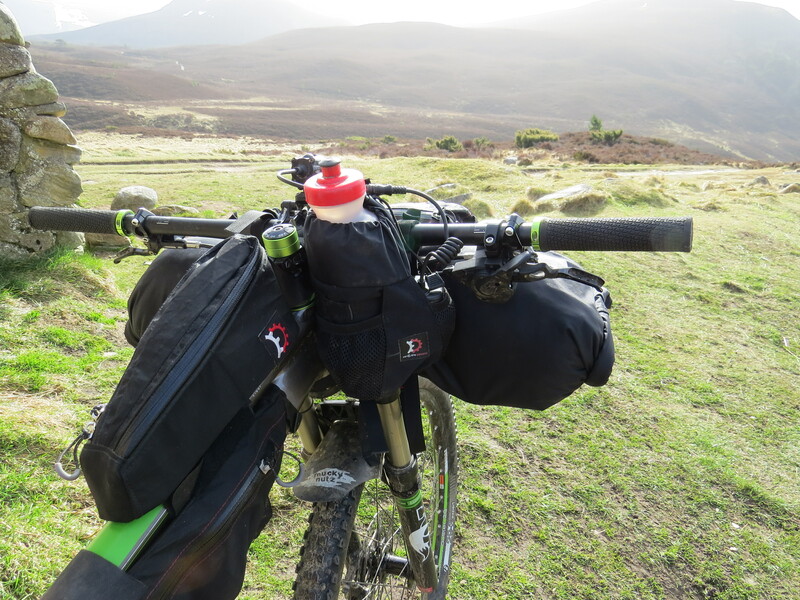 We’ll set off from Glenmore Lodge Columbridge Bridge on our fatbikes to the coast. Likely video along the way. Thanks.